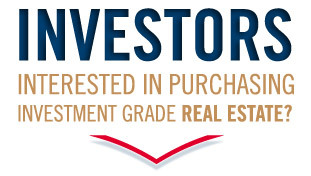 Interested in purchasing investment grade real estate? In these times of economic uncertainty everyone is looking for the best place to put their hard earned money. Bank CDs are providing a very low return and conventional stock & bond investments have their downsides. Consider investing in the time honored field of residential real estate. No other investment can offer the stability and long term advantages that residential real estate offers. Now is a great time to look into investing in rental property for long term investment portfolios. With over 30 years in the rental business we have never seen a market for investments like that which exists today. The demand for rental homes and, especially, high quality single family homes continues to skyrocket and offers great investment potential for investors. We have managed rental properties since 1980 and currently manage 500 rental units for over 100 individual owners. Let us assist you in finding the investment that is right for you. Contact us today. The consultation is free.